Your favorite NFL Stars are ready to PLAY! This collection of 3 minifigures highlights the NFL and Collegiate career of Russell Wilson. 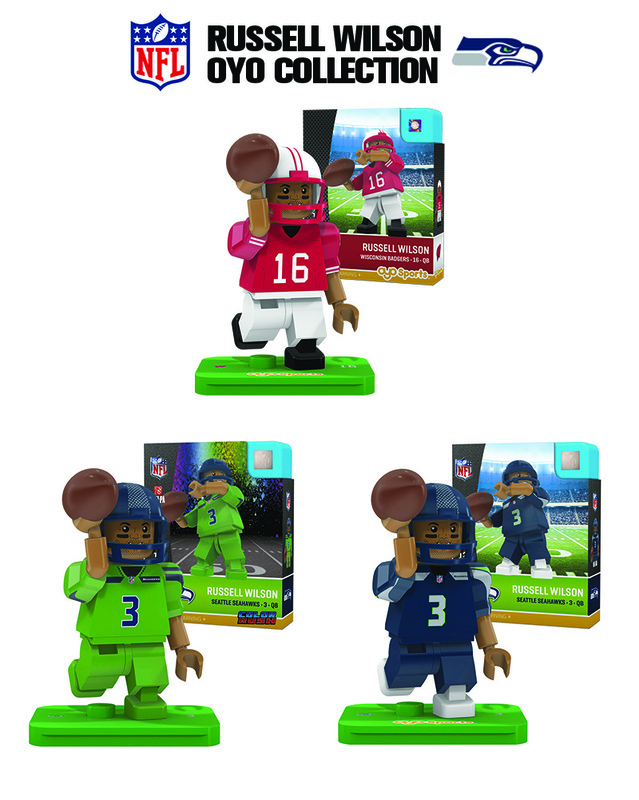 In this great collection, you get 3 authentically designed OYO Sports minifigures that are custom crafted of Russell Wilson. His navy home uniform, his electric green Color Rush uniform, and his special University of Wisconsin uniform. Each minifigure is individually boxed, and includes his helmet and facemask, a set of headphones, a football, and a printed team logo stand. These minifigures are ready to #playlikeapro, crafted in the United States of globally sourced parts. These minifigures play well with other leading brands of construction toy sets. Ages 6+. Save 10% buying this as a collection!